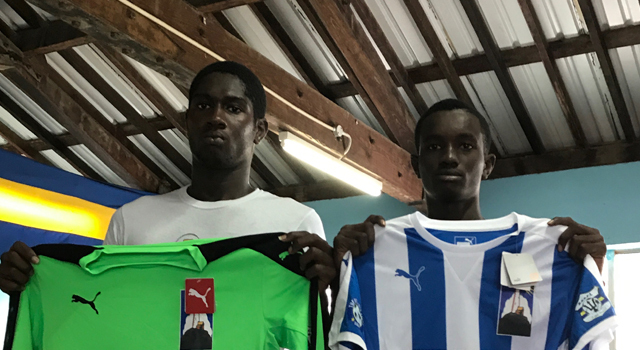 The Government Industrial School contacted THE BREWSTER TRUST and asked for some support for its own football programme. The school’s mission is to provide a safe humane environment that ensures a good education, addresses ascending behavior and offers emotional and psychological support to those committed, while preparing them to lead law abiding and fulfilling lives. THE BREWSTER TRUST agreed to assist the school with football shirts, shorts, socks, shin pads, training bibs, football boots, goalkeeping gloves, footballs, ball bags, ball pump with spare needles, marking cones and agility ladders. We wish Principal Erwin Leacock and his team best of success on their mission.